NNMP routinely provide health checks for all adults aged 45-49, aged 75 or over and also for our ATSI patients of all ages. These assessments are commenced by nurses and completed by your regular GP. The aim of these assessments is to identify any medical issues and prevent future ill health by providing education and screening. We believe strongly in the preventative approach to holistic care. 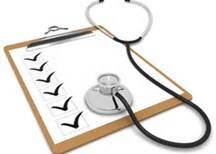 Chronic Disease Management plans are also carried out every 3, 6 or 12 months to monitor the well being of patients who have chronic or complex illness. Referrals to Allied Health, such as Physiotherapist, Chiropractor, Dietitian, Speech Therapist etc, can be supplied during these consults with Medicare benefits to help cover some/all of the cost of these visits. Pre-employment, RTA and Aircrew Medicals are also available at NNMP.